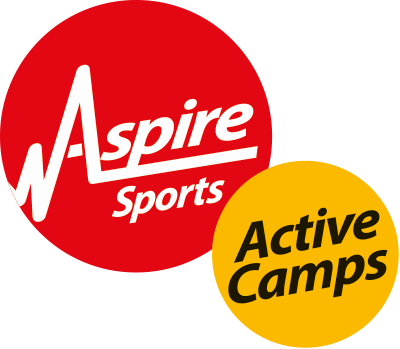 Here you will find the Terms and Conditions for Aspire Active Camps. 1.1. “AAC” means Aspire Active Camps Limited incorporated in England and Wales (registered company number 06533710) whose registered office is Unit 6, Holly Park, Spitfire Road, Birmingham B24 9PB. 1.11. “Standard Rate” means the price payable for attendance at the Activity Camps as advertised on the Website from time to time. 1.25. where the word 'including' is used in these Terms, it shall be understood as meaning 'including without limitation'. You will be deemed to have accepted and agreed to these Terms which will prevail over any other terms put forward by AAC at the time You make a Booking and the application of these Terms will commence on the date of Your Booking. 3.1. All bookings must be made using the booking form on the Website unless otherwise agreed between the Parties. 3.2. Following receipt of your Booking, AAC will send You a Booking Email. Please ensure that your email address is supplied correctly at the time of Your Booking otherwise AAC will be unable to send the Booking Email and Your child(ren)s place on Your chosen Activity Camp(s) may not be guaranteed. 3.3. Upon receipt of the Booking Email, You must check this carefully to ensure the information contained within it (such as the dates and location booked and Your child(ren)s details are correct). If any information contained within the Booking Confirmation is incorrect You must inform AAC within 7 days of receipt of Your Booking Email and AAC will use all reasonable endeavours to make any changes required. 3.4. If You do not advise us within 7 days of receipt of the Booking Email of any inaccuracies, AAC shall assume that the information contained within the Booking Email is correct and any changes or cancellation after this date shall be subject to the Changes and Cancellation terms as set out in these Terms. 3.5. If You have not received Your Booking Email from AAC within 48 hours of making Your booking please contact AAC on the contact details for AAC as provided on the Website. 3.6. Please note that receipt of a Booking Email from AAC does not constitute AAC’s acceptance and confirmation of Your booking. Your booking will only be confirmed once You have paid for Your booking in full. 4.1. All Fees and any Offer available to You are detailed on the Website and any Promotional Material. Where there is a difference between what is stated on the Website and any Promotional Material, information stated on the Website will prevail. 4.2. The amount to be paid by you will be detailed at the time of Booking. 4.3. AAC accept payment via credit card, debit card and where applicable childcare vouchers. 4.4. All Fees for any Booking not utilising childcare vouchers must be made when You make Your Booking. 4.5. For any booking utilising childcare vouchers as payment, we require funds from your childcare voucher provider within 5 days of booking. 4.6. The details of the childcare schemes which AAC is signed up to are detailed on the Website. 4.7. If AAC agrees to accept payment on the day walk on bookings at a Site, payment is only accepted in the form of cash. 4.8. If AAC agrees a payment plan with You, You must adhere to the terms of that plan. If you do not than AAC reserves the right to cancel Your Booking immediately. 5.1. You must ensure You collect Your child(ren) promptly at their pre-booked collection time. 5.2. If You do not collect Your child(ren)promptly then AAC reserves the right to charge the Late Collection Fee. 5.3. The Late Collection Fee will be debited to Your Account and is payable immediately. Please note if You do not pay the Late Collection Fee as required then AAC reserves the right to cancel Your Booking. 5.4. Please note that the latest pick up time is 6pm. If you are delayed beyond this time AAC will try contacting you using your contact numbers. After that AAC are required to notify Social Services of any children still on site. 6.1. Changes to Your Booking can be made up to the 14 days prior to the first start date as detailed in Your Booking. 6.2. If You wish to make any changes less than 14 days prior to the first start date as detailed in Your Booking, AAC reserves the right to charge You a £5 administration fee. 6.3. Any requested changes are subject to availability and AAC’s acceptance. 6.4. If You wish to make any changes to Your Booking You must do so over the telephone. AAC’s contact details can be found on the Website. Please note that leaving a telephone message or voicemail or sending an email will not mean that Your Booking has been changed. Any changes will only be accepted and made once You have spoken to a representative of AAC on the telephone and they have confirmed the amendment. 6.5. If You have booked a full week and wish to amend You Booking so that You split the days across multiple weeks, You will be required to pay any extra Fee(s) incurred as a result. If You wish to make such a change you must contact AAC’s office directly on the numbers given on the Website as soon as possible. 6.6. AAC reserves the right to modify a programme due to adverse weather conditions, low attendance or other unforeseen circumstances on the day. If any such changes are made by AAC this will not automatically give rise to any entitlement to a refund. 7.1.1. If You have purchased a week of Activity Camps, and You only wish to use selected days, Your booking charges will be recalculated based on the day rate applicable at the time of the change and any refund adjusted accordingly. 7.1.2. Any Bookings paid for by childcare vouchers cannot be refunded due to HMRC regulations relating to childcare vouchers. Instead, refunds will be held as credits in your Activity Camps account for use against future bookings. 7.1.3. Please allow 10 working days for AAC to process refunds. 7.2. If You cancel less than 14 days before the first start date as detailed in of Your Booking You will not be entitled to a refund, but AAC may (at its discretion) place a credit in your Activity Camps account for use against future bookings. AAC reserves the right to cancel sessions in advance due to low registration numbers, forecast adverse weather conditions or any other unforeseen circumstances. If this does occur we will offer alternative arrangements that might include an alternative activity, date or venue. Should these alternative arrangements not be appropriate a full refund will be given unless You have paid using childcare vouchers in which case the provisions of clause 7.1.2. above apply. 8.1. All information set out in the Promotional Material is correct at the time of printing. However, changes may occur. If this does happen AAC will use reasonable endeavours to advise You of any changes as soon as possible. Any changes will be detailed on the Website. 8.2. Please note that not every activity pictured on the Website or Promotional Material is available at every venue or Holiday Period. 9.1. It is vitally important that when You make Your Booking, You provide us with full and accurate information about the child(ren) for whom You are making the Booking. 9.2. Any information You provide must include full details of any medical requirements, physical or behavioural matters, special needs and any other additional needs. 9.3. If You do not provide us with full and accurate information then AAC reserves the right to exclude the child from any part of the Activity Camp they are attending. If this is deemed necessary, then no refund will be given by AAC unless agreed otherwise between the Parties. 9.4. When You drop off a child at their first Activity Camp session You must let AAC know if there have been any changes in the child’s medical status since You provided information as part of Your Booking. 9.5. Where a child requires regular medication, or emergency response medication such as an epi-pen or inhaler, You will be required to fill in and sign a medical form when You drop off the child at their first Activity Camp session. 9.6. If there are any changes in a child(ren)’s health or medical condition during their attendance at an Activity Camp, You must inform AAC immediately so the relevant accommodations can be made or appropriate action taken. 10.1. Neither AAC nor any of its staff, nor persons involved with or related to AAC accepts liability for any losses or damage to personal belongings. 10.2. The carrying and use of mobile telephones, tablets, games consoles and social media by attendees are strictly prohibited at AAC. If a child is found to be carrying such items AAC reserves the right to confiscate it until the end of the session. 11.1. AAC’s complaints procedure is set out on the Website. 11.2. If You do have any concerns, please speak to a member of staff at the Site who will attempt to resolve the matter for You. Alternatively, please contact AAC’s offices direct on the contact details given on the Website or Promotional Material to discuss Your concerns. 12.1. AAC will use reasonable endeavours to avoid injuries being suffered by those attending Activity Camps. However, due to the nature of some of the activities undertaken by attendees there is an inherent risk of injury for those participating in Activity Camps. 12.2. By making a Booking and payment You confirm that you are the parent or guardian of the child(ren) who are the subject of the Booking and have custody and control of them and you confirm that you have read and accept all of our Terms and Conditions. 12.3.4. exclude any liability of a party that may not be excluded under applicable law. 13.1.3. “Loyalty Scheme” means the points scheme operated by AAC as detailed on the Website and in any Promotional Material. 13.1.5. “Emergency Services Discount” means the discount offered by AAC to members of the Emergency Services. The days which are the subject of the offer are days within the same calendar week. The offer cannot be used for single days and spread across different weeks. If when You make Your Booking, you book fewer days in the same week than are detailed in the offer, You will not qualify for the Multiple Days Discount and You will either be required to pay the Advance Rate or the Standard Rate whichever is applicable at the time of Your Booking. 13.3.1. Advance rates are valid until 5pm on the Wednesday in the week prior to the start of the Activity Camps Holiday Period. 13.3.2. If a Booking is made after this time, the Standard Rate will be payable. 1.4.1. If AAC awards You a single free day on an Activity Camp this refers to one day between 8am to 4pm. A free week refers to 5 consecutive days within the same calendar week between 8am-4pm. 1.4.2. Any free days awarded cannot be used more than once and are non-transferable. 1.4.3. Where AAC awards You an open day promotional code this is for one single day only on an Activity Camp between 8am and 4pm. 13.4.4. The promotional code can only be used for the day for which it is awarded and is non-transferable. 13.4.5. A Booking made using an open day promotional code can only for used for the day stipulated and only one promotional code can be used per child. 13.4.6. A Booking utilizing a promotional code can be made in advance or on the day of the Activity Camp. 13.5.1. If AAC awards You a percentage discount voucher this cannot be used more than once and is non-transferable and cannot be used past the stipulated expiry date. 13.5.2. The use of a percentage discount voucher is subject to approval by AAC. Until such approval has been given, any Booking made using a voucher will remain unconfirmed. 13.5.3. You may only use one discount voucher with any transaction with AAC. 13.5.4. AAC reserves the right to reject a discount voucher if it reasonably believes that it has been falsely or incorrectly used. 13.5.5. Discount Vouchers cannot be used in conjunction with any other voucher or promotional code. 13.6.1. If Your Booking includes more than one child and those children are siblings, AAC will apply a 10% discount for each child in Your Booking after the first child. 13.6.2. To qualify for sibling discount the children must all be booked onto Activity Camps at the same time and You must have parental responsibility at the time that the children are booked onto an Activity Camp(s). 13.6.3. AAC reserves the right to remove a sibling discount code from a booking where AAC reasonably believes it has been misused. 13.7.1. AAC awards points for every booking made on the Website via Your account. 13.7.3. In the event that AAC withdraws or suspends the Loyalty Scheme no monies will be owed by AAC to You for rewards not redeemed. 13.7.5. AAC reserves the right to remove any loyalty scheme bonus discount from a booking where we believe it has been misused. 13.8.1. Details of AAC’s Flexi Pass Scheme can be found on the Website. 13.8.2. A Flexi Passes can only be used during the school holiday period stipulated in Your Booking. At the end of that holiday period, any unused days will be removed from your account and cannot be carried over to another Holiday Period. 13.8.3. A Flexi Pass can only be used at the Site stipulated in Your Booking. 13.8.4. If You purchase a Flexi Pass it is valid until the last day of Activity Camps that are provided by AAC at the Site during the Holiday Period for which the Flexi-Pass was purchased. 13.8.5. During the Holiday Period for which Your Flexi Pass is valid, You may use the Flexi Pass for any activities available at Your chosen Site between 8am-4pm. However, please note that Your choice of activity and day is subject to availability. 13.8.6. Multiple passes may be purchased and utilised across children linked to the same parent account. 13.9.1. Upon receipt of a request from You, AAC will issue You with a code to be used when You make Your Booking. 13.9.2. You will need to enter the code when asked to do so whilst making Your Booking. Once the code has been entered and accepted, the Emergency Services Discount will be applied to Your Booking. 13.9.3. If You have made a Booking using the Emergency Services Discount You must bring identification of Your place of work when registering Your child at the Site. 13.9.4. AAC reserves the right to remove an Emergency Services Discount from Your Booking at any time where AAC reasonably believes it has been misused. AAC shall have any liability under or be deemed to be in breach of these Terms for any delays or failures in performance of Activity Camps or any other services related to them which result from circumstances beyond the reasonable control of AAC. AAC reserves the right to vary the Terms at any time. Details of any variation will be set out on the Website. No failure or delay by AAC in exercising any right, power or privilege under these Terms shall impair the same or operate as a waiver of the same nor shall any single or partial exercise of any right, power or privilege preclude any further exercise of the same or the exercise of any other right, power or privilege. The rights and remedies provided in these Terms are cumulative and not exclusive of any rights and remedies provided by law. If any provision of these Terms is prohibited by law or judged by a court to be unlawful, void or unenforceable, the provision shall, to the extent required, be severed from the Terms and rendered ineffective as far as possible without modifying the remaining provisions of the Contract, and shall not in any way affect any other circumstances of or the validity or enforcement of the Contract. The validity, construction and performance of these Terms shall be governed by English law and shall be subject to the exclusive jurisdiction of the English courts to which the Parties submit. For the purposes of the Contracts (Rights of Third Parties) Act 1999 and notwithstanding any other provision of the Terms, the Terms are not intended to, and does not, give any person who is not a party to it any right to enforce any of its provisions.